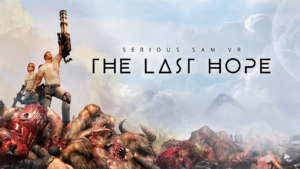 Serious Sam VR: The Last Hope full release update is out now! in the final version. We also couldn’t have done it with your support and feedback – thank you for being the best community any developer could wish for! Grab the game now on Steam and Oculus with 25% off for a limited time! Luckily for Hunski (and more importantly, for an ever-growing legion of VR enthusiasts) it never was about money at Croteam. It was about creating awesome games, having fun in the process and doing what we love. So the decision was made and Croteam VR was formed. A small studio inside a studio, staffed with VR aficionados and led by Hunski, went about sending Sam on a planet-hopping, gun-totting adventure that became SSVR: The Last Hope. 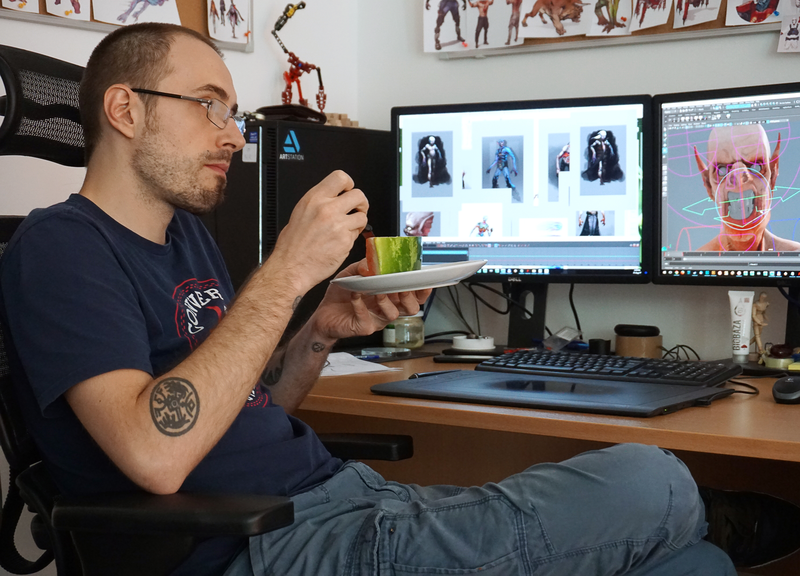 Croteam Spotlight Q&A – Meet Nikola Radovic, the artist extraordinaire! We’re super busy and have so many exciting news to share! Croteam VR teams are wrapping up several new projects, and the Croteam Incubator is now officially a thing, where in just one short year we’ve helped three regional indie teams build their games and show them for the first time at Gamescom. More are coming, and it’s an incredible experience to be able to shape, playtest and hopefully release all the crazy ideas that we wouldn’t have time to do by ourselves. 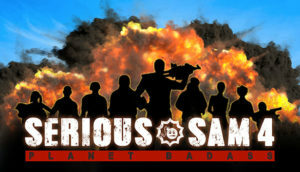 With Croteam VR and Croteam Incubator projects in place, Croteam’s core team was able to remain focused on a single project, Serious Sam 4. We’ll talk more about all of those projects soon, but if you’re feeling impatient (we certainly are!) take a peek behind the curtain. In this new blog series we will feature members of our team and the projects they are working on, all the while offering you a small glimpse into their day-to-day activities here at Croteam. This will also give you a chance to get a first look at the things we are preparing for you. There will be exclusives, of course, so stay tuned for a new dose of Croteam every week. The honor of introducing this blog series to the public fell down on the shoulders of Nikola Radović. An animator and concept artist extraordinaire who is responsible for both designing and animating some of the enemies you will be fighting against in the much anticipated Serious Sam 4. Nikola is a crucial part of Croteam’s art & animation department and has done some great work for our VR projects, both released and unreleased. So, without further ado – here’s Nikola. Nikola Radović has been a crucial part of Croteam’s art and animation department. Here he is, enjoying a chilled piece of watermelon. Because why not! Hey, Nikola. I hope you realize the importance and honor that we have shown to you by choosing you as the first ever person in Croteam’s developer spotlight series. You will forever go down in history for that. We’ll continue the discussion about my compensation later, but for now, let’s get to the point. How long have you been a part of Croteam, and what are some of your day-to-day activities? Hey, Mr. random totally not weird interviewer. I absolutely realize it’s an immense honor, and feel the pressure accordingly. I’ve been a part of Croteam for almost three years now. My work day usually starts with a quick check up of all things I’ve done and still need to do, and I spend the rest of the day trying to stick to the gameplan as much as I can. I usually start light with some sketching, to get that creative “juju” on, and then I jump to character animation where all the magic happens. Finally, before I call it a day I usually get some planning done for tomorrow. Fun, eh? Have you been a part of the gaming industry throughout your professional career? How did you start, and what are some of the things you worked on before joining Croteam? No, I haven’t. Although I wish I was because you really learn quickly in this industry. Plus, it’s a well-known fact that game developers are an insanely popular bunch, and being popular is what we all crave for, right? All jokes aside, working in the gaming industry is a pretty unique experience, and I’m very pleased I was given this opportunity. My foundations are in classical painting, illustration, and 2D animation, so naturally, I started as an animator and worked on a couple of short animated movies prior to working in Croteam.